But will the move curb violent incidents in the country’s second biggest island? 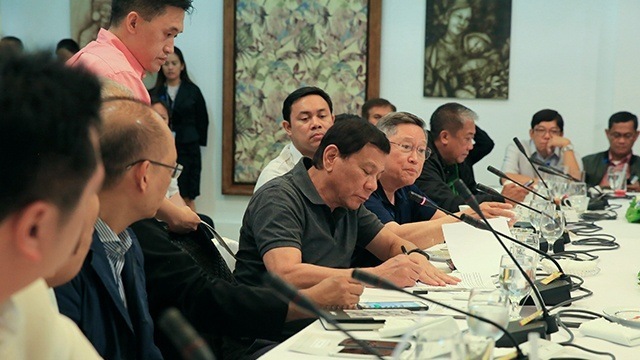 Shortly after President Rodrigo Duterte declared martial law in Mindanao on May 23, many of the country’s leading business leaders immediately issued statements supporting the president’s surprise move. That came in reaction to attacks in Marawi City staged by the Maute group, a violent Muslim separatist group that has reportedly pledged allegiance to the Islamic State (ISIS), the terror group operating in Iraq and Syria. Whether the business leaders are proven right or not in supporting martial law remains to be seen, especially amid worries about a possible rise in human rights abuses by the police and military. However, it’s not hard to see why many of them are doing so. Each month, PSA prepares a “Philippines Muslim Insurgency Report” that lists incidents such as attacks, encounters as well as arrests and sightings in the Philippines linked to various Muslim separatist rebel groups. The reports are distributed to clients such as banks, oil and gas companies, mining operators, manufacturers and power and energy providers to help them improve security for their personnel operating in Mindanao and other parts of the country. A compilation of the data from PSA’s monthly reports in the past year or so shows that the number of Muslim insurgency incidents continues unabated despite the deployment of more military and police resources to subdue the Abu Sayyaf and other extremist groups. The data also shows that about six percent of the attacks mounted by these extremist groups were directed at businesses and companies, making them the third biggest target group after the military and police, and civilians and private property owners. Interestingly, the data also show that the number of Muslim insurgency incidents rose shortly after Duterte placed the Philippines under a state of national emergency on account of lawless violence in September 2016. The declaration followed the bombing in a night market in Davao City that killed 15 people and wounded at least 70 others in September 2016. Under the proclamation, the Armed Forces of the Philippines and the Philippine National Police were directed to subdue all forms of lawless violence in Mindanao. Yet data shows that insurgency incidents increased by seven percent a month after the declaration was made, and further climbed to a nine-month-high December 2016, with 69 recorded cases. The number of incidents subsequently fell in January and February 2017 but rose again in March. Will martial law fare better than a state of national emergency in curbing violent incidents in Mindanao?